The Indian used passenger car market is noteworthy for being unruffled by the economic downturns and weak industry growth. As per reports, second hand models are in high demand and the market for them growing steadily in the country. Accordingly, CarTrade.com has compiled a list of Top 10 used cars under Rs. 1 lakh in the market. More details of the same are available on the website. Heading on top our list of Top 10 used cars under Rs. 1 lakh is a 2002 model of Maruti Suzuki Zen LXi compact hatchback. The Zen remains one of best selling Maruti Suzuki products in the domestic car market. The well maintained model carries a price tag of Rs. 80,000. Finishing 2nd on our list is a 2010 made Tata Nanoentry level small car. The Nano CX Carries an asking amount of Rs. 90,000 and looks great in terms of price considerations and overall value-for-money quotient. The 3rd finisher is a standard Maruti 800 model manufactured in the year 2006 with a Rs. 90,000 price tag. Top 10 used cars under Rs. 1 lakh. 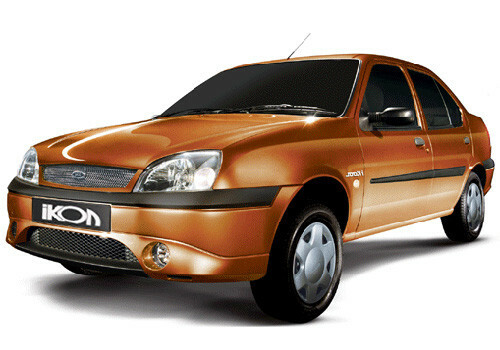 Ending up on 4th position is a Ford Ikon sedan made in the year 2004. The 1.3 litre Ikon CLXi model carries a retail price of Rs. 99,000 and seems like a great option for those looking to invest on an affordable used sedan. The 5th spot goes to a 2001 manufactured Hyundai Accent mid sized sedan that comes with a market price of Rs. 99,000. Finishing 6th is another Hyundai product, a Santro Zip Drive at a price of Rs. 75,000. Evidently, both Santro and Accent have been Hyundai's flagship models in the Indian market and witnessed some impressive sales in the past. The used cars are kept with high maintenance and conform to all major needs and requirements of an average Indian consumer. Listed 7th place on our list of Top 10 used cars under Rs. 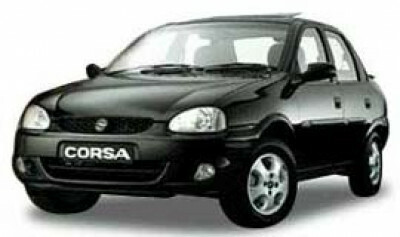 1 lakhs is a 2005 manufactured Opel Corsa saloon. The well maintained sedan is quite rare in the second hand car market and therefore, interested buyers can purchase the model for Rs. 1 lakhs on CarTrade.com. The 8th and 9th position goes to two discontinued Maruti Suzuki sedans- Esteem and Baleno. The Esteem LXi was manufactured in the year 2004 and carries a price of Rs. 95,000, while the 2001 made Baleno VXi is available at a price tag of Rs. 90,000. Rounding off 10th place finish on our list is a Maruti Suzuki Omni produced in the year 2004. The five seater van is in great condition and can be purchased for a sum of Rs. 1 lakhs.